We wish to display a pop-in to new visitors arriving on the website in order to remember to them the key principles of the website and encourage them to contribute. To create a new segment, go to the "Segments" page in the "Targeting" tab. Then, click on “New segment” to create a new segment. We want our web personalization to be displayed for every new visitor, regardless of the page they are visiting. In order to do so, we will use the “New or returning visitors” in the “Visitor characteristics part. Drag and drop the condition to select it. Then, choose to include only new visitors, which are visitors browsing your website for the first time. To finish, click on the “Validate” button to save your segment. To create your goal, go to the "Configured sites" page. In the “Reporting” part, click on “Kameleoon”. 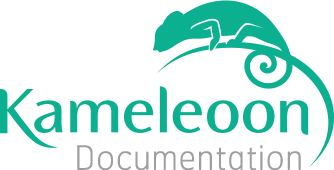 If Kameleoon reporting tool has not been installed, click on “Add a reporting tool”. Click on “Add Kameleoon” goal to add your goal. In our example, our goal is to make the visitor click on the pop-in and visit Mozilla “Contribution” page. To do so, we will use the “Access to a page” goal and indicate the URL of the “Contribution” page. Click on the “Validate” button to save this new goal. It will appear in the list of goals and you will be able to select it when you create your web personalization. In your back-office, click on the “New personalization” button to start. A pop-in opens, allowing you to choose the website on which the personalization will be launched and the name of your personalization. In the “Segment exposed to this personalization” part, click on "Choose existing segment" to see the list of segments and select the one you have created. Where to display the personalization? In this example, we would like to replace an image. To do so, we have to create our personalization “Above your pages”. Then, select “From an Image” and click on the “Browse from your computer” button to import your image. Image: once the image has been imported, you will be able to choose its position on the page. In our example, we will let the default setting, with the pop-in in the middle of the page. Image size: if your image has not the right size, you can resize it here. If you do not want to change the size, simply check the option “Identical to source image”. Devices: you can choose to display or not your web personalization on a type of device, or upload a specific image for these devices. In our example, we choose to run our web personalization only on computers. Animation: you can add an animation effect to your pop-in, but we will not use this option in our example. URL redirection: fill in here the URL to which the visitor will be redirected if he clicks on the pop-in. Options: both options are already selected by default. We will find here the goals previously created. If you select more than one goal, you will have to define one of them as the main goal. In this example, it is important to set up the capping in order to handle marketing pressure on our visitors. Under the overall capping settings, we can add capping by visitor. The web personalization is ready to run! Click on the Simulate button to previsualize your web personalization and make sure it is working properly. Then, you can put the web personalization online by clicking on the “Activate” button. A pop-in will confirm the activation of the web personalization.